As many of many of you already follow the fabulous Andi B Goode you will have seen my guest post for her, but for those who don't (yet) have a gander at this! I think one of the most exciting parts of travelling is deciding what you are going to pack, what will you need, where are you going to be, what's the weather going to be like? So many questions, and you know who I turn to? The dames of Hollywood, the majority of my sartorial choices are inspired by cinema. So, let me share with you my one of my favourite vintage travel inspirations. 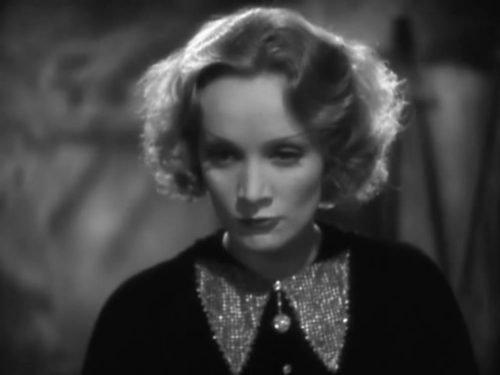 Marlene Dietrich, as Shanghai Lily in Shanghai Express, is one of the best dressed characters out there. She's stuck on a train but still looking fabulous. 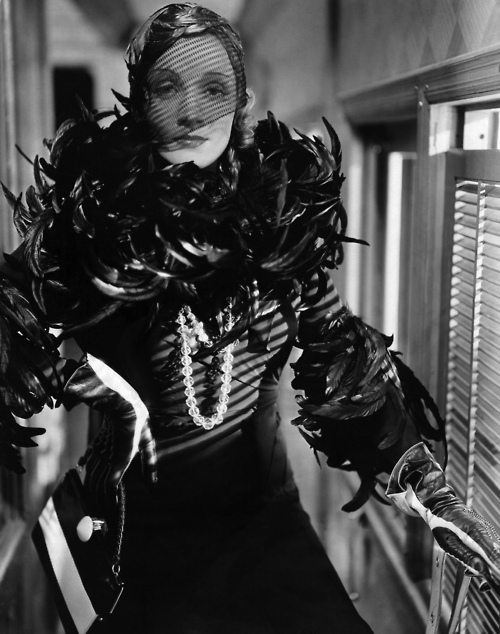 Directed by Josef Von Sternberg and costumes by Travis Banton, there is not a lot that could go wrong. Starting the journey: you need to travel in style to kick your holiday off to a good start, wear something comfortable that makes you feel fabulous. I think this is the perfect time to dig out those treasures you never get chance to wear at home and really go all out! A cotton dress, a cosy coat and some glamorous luggage oh and a hat to hide the fact you got up last minute without time to set your hair-do! Whilst Travelling: you're stuck on that train, plane, donkey, so slip into something more relaxing. Kimonos are my bestest favourite lounge wear, they are elegant and comfortable. Mine has been paired with a slip and then some satin pyjamas to keep that chill off whilst you're slipping to the next cabin, for a moonlight dalliance with that gent you used to know. The evening: The party, the meal, the arrival. This is when you can dust off your glad rags and really splash out, go for glitter, feathers, veils - all at once preferably. 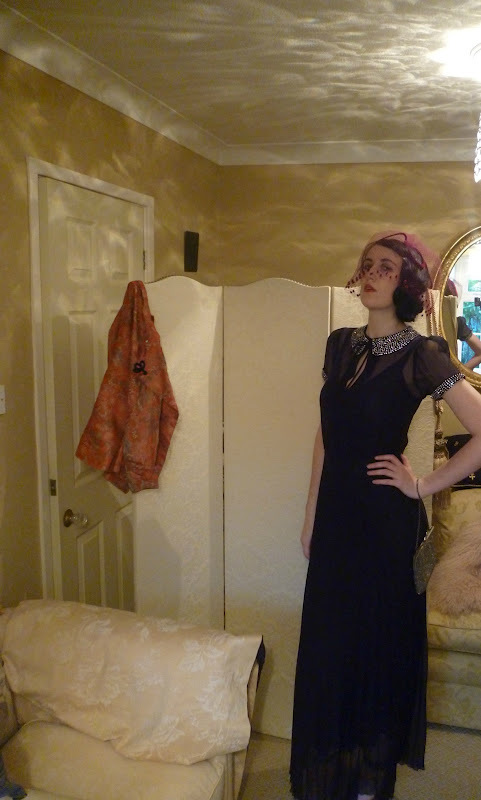 It's not like anyone knows you're not a Countess. So, be it a weekend visit to see family or across to the other side of the world, ensure that you take your favourite garments, spoil yourself and have fun. Great post! I am completely in love with that black dress with the sparkly peter pan collar! So glamourous! What a beautiful black dress you're wearing! Jaysus,what a lovely post! I can tell you had fun planning and writing it! Costume changes!!! Hurrah! 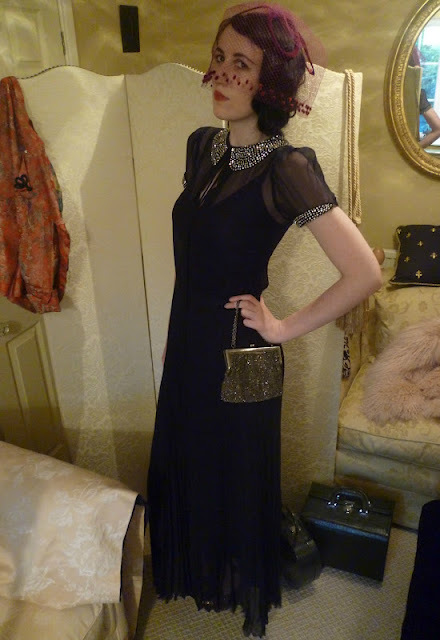 Youv'e done it gloriously and stylishly! I'm only going 4 hours up the road on Friday for the weekend, but you've got me thinkin' about my packing now! 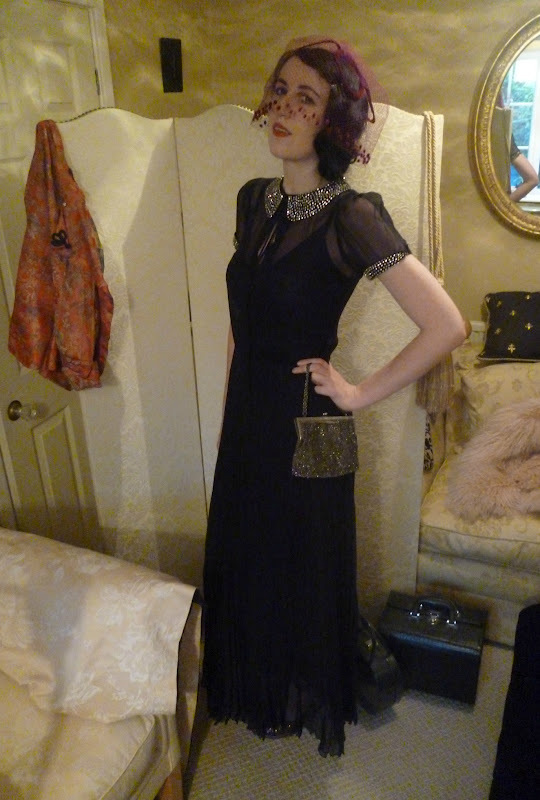 It was majorly fun, any excuse to daydream and dress up. Aaaw thank you lovely, I coveted it when it was new in stores but got it last year on eBay for £30 bargain! 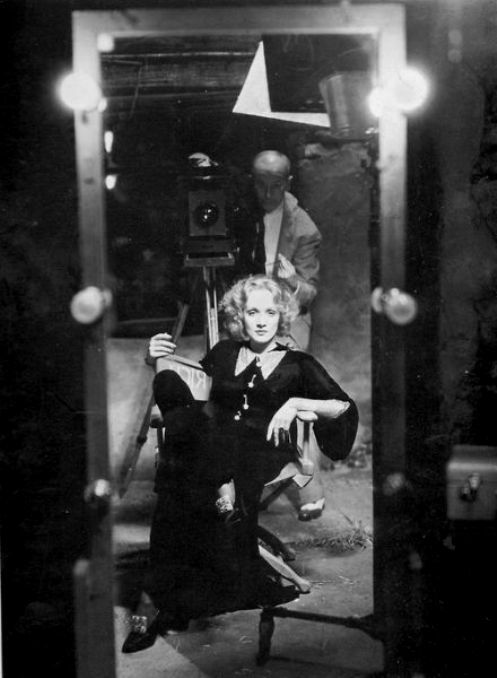 Shanghai Express is on my list of movies to watch and after reading your post I want to see it more than ever. You have some beautiful clothes and the photos are lovely. Oh! I guess that you and Marlene are sisters. 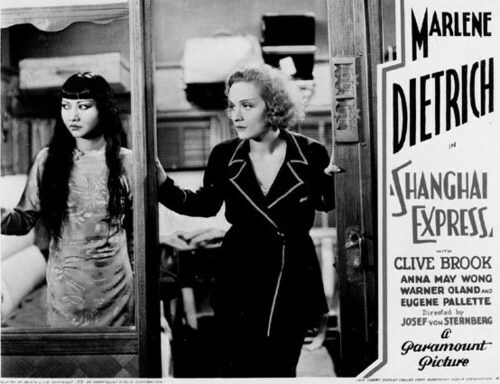 I love Shanghai Express! That many costume changes definitely requires traveling by train or boat. All those luggage restrictions on planes are quite a problem... I really prefer trains or boats but the husband never has much time off work so we end up flying. Boo. Listen to me complain about my first-world problems! Sheesh. I really enjoyed this post! All of your inspired outfits are amazing. 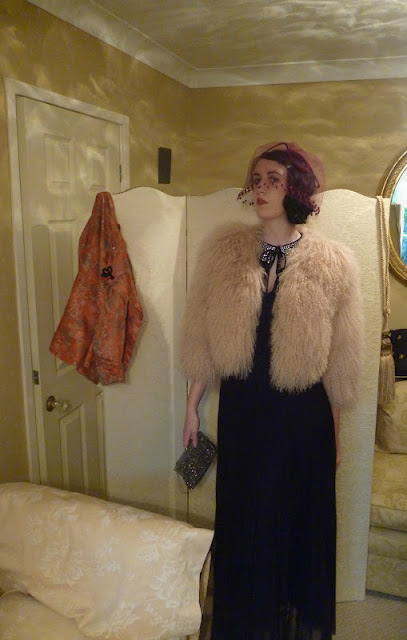 The fur coat is to die for & that last dress - I want it. So happy I stumbled across your blog, you are just completely lovely! Love this post, very very inspiring!